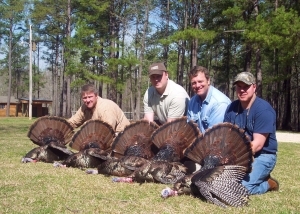 On March 15th of each year, spring gobbler season begins. 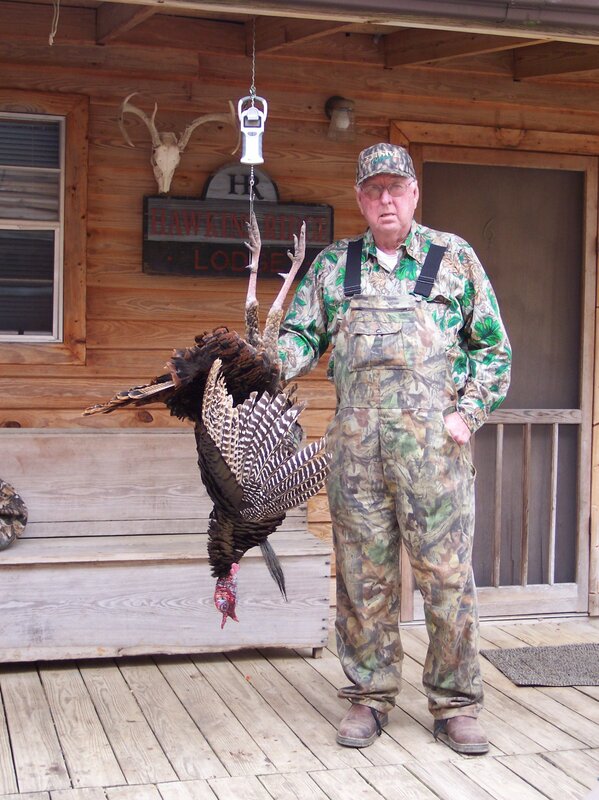 Hawkins Ridge Lodge has the very best to offer in wild turkey hunting. 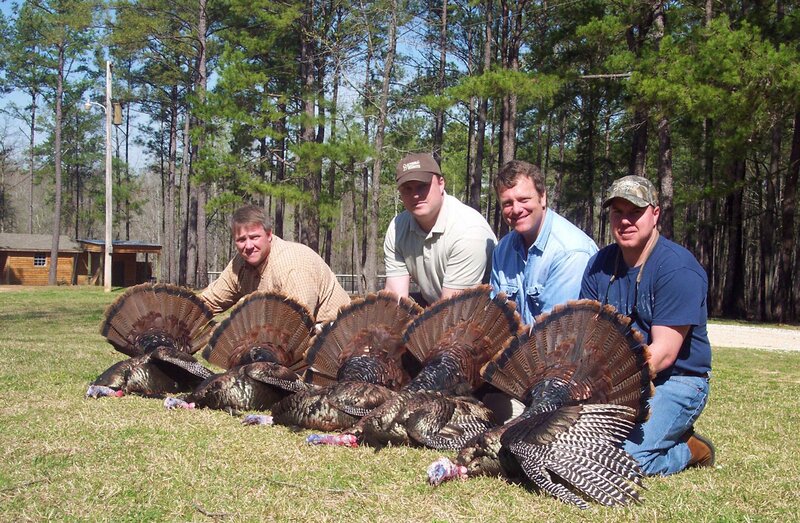 Our lodge takes only 4 turkey hunters per hunt so each hunter will have access to hunt thousands of acres. Each turkey will enjoy having their own private bedroom and bathroom. When you arrive, we will have an old Tom located for you. 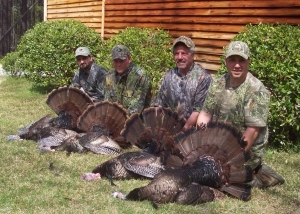 Due to our abundance of long-bearded gobblers, we allow you to take two turkeys per hunt. In the morning you will have the opportunity to work a gobbling bird and after lunch we will return to the woods for more hunting. 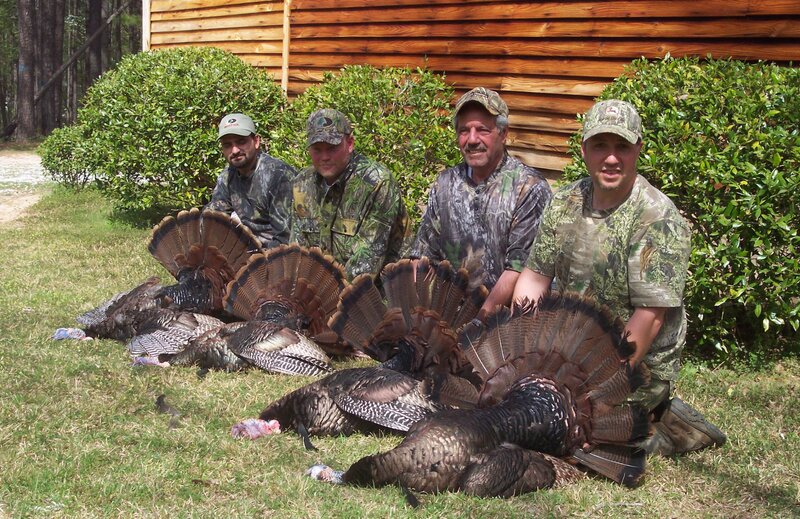 You can call your own gobbler or have an experienced guide with you. Hawkins Ridge Lodge is located on 6,000 acres of land, much of which has been owned and farmed by our family for 100 years. This land is now carefully managed exclusively for this production of trophy game. We are located 12 miles southwest of Eufaula, Alabama and 10 miles west of beautiful Lake Eufaula. We are located 5 miles from the Barbour County Wildlife Management Area and Refuge. This refuge has long been noted for the heavier weights and larger racks of Alabama’s deer population and is the showcase of all Alabama’s management areas. 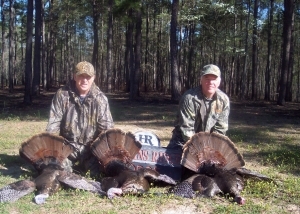 Alabama is a hunter’s paradise, having one of the largest deer and turkey populations in the country. The combination of limited hunting pressure and isolation make the steep pine ridges, oak flats and dense beaver pond swamps of Hawkins Ridge lodge an excellent place for big racked bucks, and long bearded gobblers to mature.